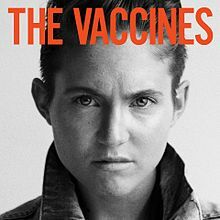 I Always Knew was released in the UK in November last year, it was the third single from The Vaccines second studio album, "Come of Age". As with most of the modern music I seem to like it got nowhere in the UK charts, reaching the staggering climbs of No 169!!!! This track reminds me of the 60's band "The Tornadoes", that twangy Joe Meek sound is just brilliant! That was a sweet track! I won't be putting it up as one of my favorites any time soon, but it was a real fun listen. Popping over from Alex's blog. LOVE this song!